Golden gateway and golden ship, photos taken May 15th 2016. On the eve of the September Equinox 2018 (September 22nd or 23rd, depending on where you’re located around the globe) the subtle energies around the planet are running very high, and the currents flowing through the light-grids associated with the New Earth have continued lightly building over the last ten days. In 3D layers, intense weather events and vibrational tension in the (human) collective field directly reflect the accelerated convergence of higher and lower (or faster and slower vibrating) dimensional frequencies and reality levels. 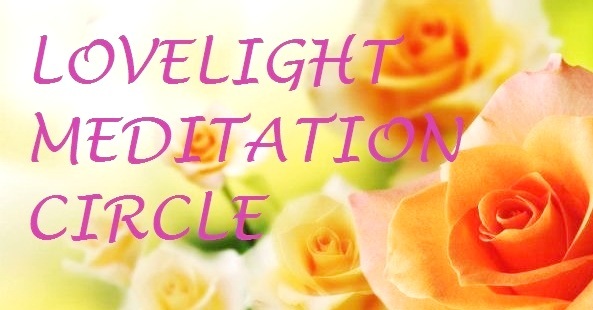 We’re asked to radiate LoveLight to all beings on Earth, and to Gaia’s heart, as the powerful subtle message of equilibrium within the rebirthing goldenprint coded into the planet’s ‘grail nodes’ flows through this Equinox Gateway….which feels very highly amplified, as all strong alignment moments have this year. To connect with the rebirthing light aligning deeply through this Gateway, we’re going to go ‘far out’ today, then bring the focus into the local Solar System and Earth view, and thread the door with Golden Solar Light, encoded with restoration of the original unity-in-love that is infinitely, continuously radiating from the Source of all Creation. To feel how these ‘encodings’ come through a particular vibrational principle, to ignite what was left seeded in sacred light points in various moments and locations around the Earth, for this time on the planet, let’s spread our soul-wings out intergalactically. Soul is everywhere. Everywhere there is life, in any dimension or universe, there is soul essence, focus points through which Source/Spirit is expressing itself as energy, light and form, whether at the scale of a human or a galaxy. Our local galaxy, the Milky Way, is one ‘soul cell’ among a great family of galactic cells within the Virgo Cluster of galaxies, which is one of about a hundred thousand galaxies within a galactic supercluster that has been named Laniakea by astronomers (a Hawaiian word meaning ‘immense heaven’). And Laniakea is just one galactic supercluster among many, each with its own vibration, flowing through subtle and physical aspects of a vast family of Oversouls, akin yet each with a distinct emanation of soul qualities that are bathing every soul cell dwelling within their particular mantle of attributes. The soul of Laniakea, I hear and feel, is pulsing golden-white phoenix light; a constant message of divine renewal, resurrection, regeneration and rebirth, which reverberates through all life here, flowing through the Virgo Cluster to the Milky Way, through our Sun, to the planets, to all beings, and whether active or latent, quietly vibrating through our Light DNA. As this phoenix regeneration message filters through the Virgo Cluster, it ‘births’ through the ‘Virgin Mother’ (Virgo = virgin, seen/intuited by the ancients as the Grain Mother, Ceres, hence in depictions of the astrological sign for Virgo, the goddess carries sheaths of grain)….which has reflected into this sphere in close relation to rebirth and resurrection through the Virgin Mary and her divine conception of Jesus, through Isis and her divine conception of Horus (from Osiris before his regeneration), through the ancient Bee Goddesses (bees were believed to reproduce by parthenogenesis/self-fertilization, from the Greek word ‘parthenos’ = virgin) and renewal through the ‘golden nectar of the gods’. Right now, with a high vibrational Gateway open that peaks with the Equinox flowing straight into Full Moon (which by the way, in the northern hemisphere is called the ‘Harvest Moon’, the gathering of the grain), this continuous Light imbued with phoenix soul qualities is streaming and available to a newly heightened level. To receive it to the depth that is optimal for you right now, just allow yourself to feel your whole being as a vessel of love, relaxing in total trust, naturally designed to embrace and integrate the rebirth-catalyzing light that flows with vibrational encodings perfectly matched to all its ‘receiving cells’, which it cherishes and nourishes, whatever form (or formlessness) they are expressing through in this moment. In our local planetary area, in the weeks leading into this alignment, there has already been so much shifting, releasing and transmuting of very dense energies connected with our neighbour Mars, to open a way for the rebirthing transmission to reach that planetary soul-cell (see previous post)…with deep reverberations through the Earth’s energetic layers and the collective field here. Stay positive and heart-centered through this process, keep a compassionate perspective on 3D tensions and extremes of contrast, and know that from the wider overview, constricted energies are loosening very fast, with great potential for transformation. The light-grids supporting and connecting this interplanetary weaving of Light, and especially the Solar Grid, have been reinforced recently by star family, keeping the light flows moving freely, and on Earth currently shimmering through the Mu/Lemurian light-grid, the Avalon grid, Gaia’s Crystalline Heart Grid, and into the planetary nodes and meridians (life energy channels). To end this post, we’d like to share some recent photos of orbs around Mars, representing various soul groups who are assisting and guarding the highly providential transition occurring there, working through precise and beautiful coordination, like a multi-faceted, multi-dimensional dance! 🙂 The first two photos show ‘alignments’ of focus and energy toward Mars on September 10th, 2018. Ashura&my ‘soul light orb’ focusing toward Mars, September 10th 2018. Related soul groups flow toward Mars together, September 10th 2018. After a big night on the 10th, the following night I took this photo of Mars, showing the hint of a face in peachy-golden light in the centre, with grids visibly peeling away, like fencing being removed, at the right-hand side (see previous post Mars Mission Update for more about this transformation-in-progress). On September 14th, with Venus and Jupiter aligned brightly with the Moon across to the west from Mars, both Venusian and Jupiterian soul groups appeared in orb form assisting with Mars, firstly a light golden Venusian orb with a rose rim, then a purple-blue Jupiterian orb. Rose-gold Venusian orb above Mars, September 14th 2018. Purple-blue Jupiterian soul group ‘orbits’ Mars, September 14th 2018. Large orb to the right of Mars, with a cockatoo (pink&grey galah) flying past, in alignment with Mars and orb at the moment of taking this photo, September 16th 2018. On September 19th, Mars was positioned closely above the Moon, with ships softly visible either side of a close star, forming a beautiful three-point ‘Arc (Arcturians) to Mars’. Thank you all, bridge-builders of Love. Mars above Moon, with ships either side of a star upper right of the Moon, forming an arc to Mars, September 19th 2018. Through the loosening and clearing of the lower astral (4D) and deeper aligning of the planetary high vibrational Shift flowing through this extraordinary year, we’re glad to be able to share here about a widespread defusing of lower 4D energies and devices during a high-aligned gateway of the weekend of May 19-20th, still continuing, in the context of the current stage of steadying and strengthening the New Earth Grid. The New Earth Grid imprints the higher light codings of the fully realized ascended Earth, radiating from the planetary core ~ Light-Heart of Gaia in the fifth-sixth dimensions and higher ~ in a fluid, pliable interweaving of light strands of the Unity Consciousness Grid, Crystalline Heart Grid and the meridian network (chi/life energy channels) flowing through the planet’s etheric layer…which is gradually aligning to the unified loving energy being rebirthed through Gaia’s divine planetary template, lifting frequencies, and purifying energy channels (see this post if light grids are new to you). During 2018, two ancient interconnecting light grids have been blessed with increasing activation, with a lot more to come; the Mu grid (ancient Lemuria) and the Avalon grid (carrying the wisdom and joy of the Golden Age of Atlantis, before its vibration fell). Hawaii, capital of what was once the Mu continent, is currently in a high activation phase, translating through to the 3D physical layer as floods followed by heightened activity of the volcano Kilauea on the Big Island, as adjustments and higher aligning of the subtle light templates reflect into physical and reverberate energetically into and through the planetary meridian channels, clearing, flushing and raising the overall vibration another notch. As the higher light frequencies continue to flow and shift everything back into alignment with Universal Love, resistances in the density of 3D polarity are obvious, whether in orchestrated distractions or personal mental/emotional looping. Prioritizing staying peacefully open in our hearts to the ascending vibrations allows increasing inner clarity and innate attunement to the beautiful loving support all around us multi-dimensionally, and joyful awareness of the shifts occurring in various dimensional layers around this planet and Solar System. The way this ‘clean sweep’ appeared to me was in dreams and visions of whale-like beings whose energies had dropped and become misaligned in some parts of the Cetus constellation (Cetus being depicted either as a whale or a sea monster, as the human unconscious carries memories of the dual energies in that constellation, some high and loving, others distorted ~ which is where most of the myths of sea monsters, sirens luring ships onto rocks, and dangerous merman/maid type tales originated from) being set free from entanglements, control devices planted in them expelled and dissolved, and the liberated beings assisted to sanctuaries located in the Arcturian Angelic Light-worlds, for healing and recouperation. Vibrations of aquatic beings in the 4th dimension reflect through cloud waves rolling over the Sun, with an Angelic Arch of White Light starting to form around a Sunbow, a sign of Archangelic presence, May 16, 2018. This is a truly blessed release, and the photo below shows one of these whale -like beings (which had called for help) in the moment that a device was dislodged from within its head, and literally flew up out of its blowhole as it vented etheric vapours (which you can see in the photo). The device popped into very clear visibility for a moment before Star Family dissolved it. Whale-like being vents a transmitter up through its ‘blowhole’, with Angelic assistance. The device came clearly into focus within the 3-4D interface before being dissolved. May 16, 2018. These devices have been used to transmit frequencies leading to confused, imbalanced decision-making among humanity, with many clustered over ‘hot spots’ around the Earth (implanted in beings with whale origins because they naturally amplify frequencies over a long range). The removal of this network is fantastic for the planet, for high energies to move freely and unobstructed through the New Earth Light-Grid into 4&3D, along with the ongoing clearing of the 4D layers in general! Ashura (my Twin Flame, here in his 5D light-form, Arnap) can be seen guiding one of the hybrid whale souls free of the lower 4D in this sequence of May 23rd; first, his silver pod-ship flashed (circled upper right) above a passenger plane as it flew past a ‘whale cloud’ that moved clearer into view in the second photo. Arnap’s pod-ship, from the mothership Meri’Ashar, flashes at the upper right of this photo, with plane below, and whale cloud behind tree lower left, May 23, 2018. Can you see/feel the whale soul ‘shaking itself loose’ of etheric/lower astral bindings as it flies/swims free? Whale being shakes free of lower 4D bindings, also releasing connected souls whose faces are visible within and around it, May 23, 2018. We’d like to send a loving hug to our Alpha Centaurian star brothers and sisters here too, as their work has been instrumental in preparing the way for the current stream of transformations, thanks beautiful beings. Here they are, signing their presence with a ‘horseshoe in the clouds’, leading into this clearing phase. Alpha Centauri ‘horseshoe’ with faces looking through it, May 10, 2018. I could feel an energy trying to grip onto the horseshoe from below (ie; attach to a sphere of light an Alpha Centauri lightship was anchoring from 5D into the 4D levels), and the Alpha C’s said to turn the next photo upside-down. Alpha Centauri ‘horseshoe’ with dolphin & whale energies, May 10, 2018. Instantly, a large dolphin’s face could be seen on the left side of the horseshoe, and a whale diving toward it from above ~ representing the beautiful whale and dolphin beings of the higher dimensions coming in to support and steady the energies. Centaurs flowing as ‘sea horses’, so to speak, anchoring through the liquid light-waves in union with Cetacean souls and energies. So you can see how the higher dimensional star families, groups and beings all work, flow (and play) together…just feel the easy, graceful unity of the loving light-realms in your heart, flowing around all of us, the Earth, the Solar System, in every moment…and let this peaceful unity anchor through your being, for all. * For a gorgeous photo of an uncloaked Alpha-Centaurian lightship over this area, with its horseshoe ring of lights visible, see our friend Rob Hartland’s photo on the Guest Photos page.